The BioBoost partnership has published a report about the results of the tests with methods and techniques to stabilise residual horticultural biomass fractions. In the report stabilisation with thermal treatments, cooling techniques, fermentation and drying methods is evaluated. Based on interaction with farmers and industrial stakeholders, project partners ILVO and VIVES selected a number of crops and by-products to evaluate specific stabilisation techniques as a first step towards improved utilisation of the horticultural biomass fractions that remain in the production process. Besides the crops selected initially, additional demand-driven stabilisation tests were performed. The results of the test are very promising for using the tested treatments for effective stabilisation of biomass fractions and maintaining quality. Although not all treatments were equally effective for each crop (part) tested, the work done offers a good basis for scaping effective stabilisation strategies for specific crops/crop parts. 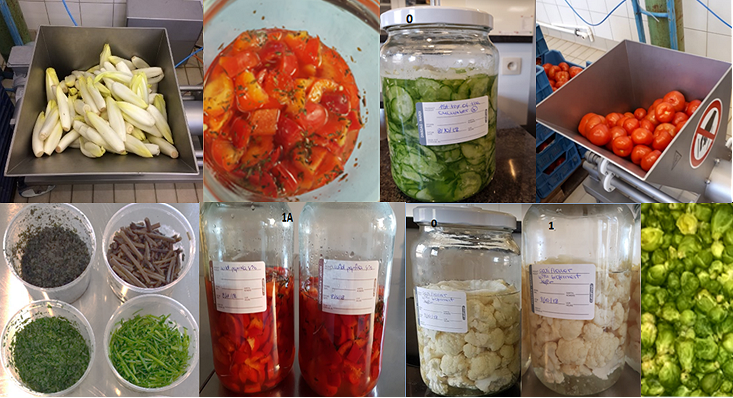 In the next phase in the BioBoost project, additional steps in process and product development, such as recipe development and the use of additional unit operations including preprocessing, value-added processing and conservation treatments will be done. The results will be described in a separate report that will be delivered towards the end of the BioBoost project. The Report “Stabilisation Methods and Techniques” can be found on the BioBoost website in the ‘publications’ section.